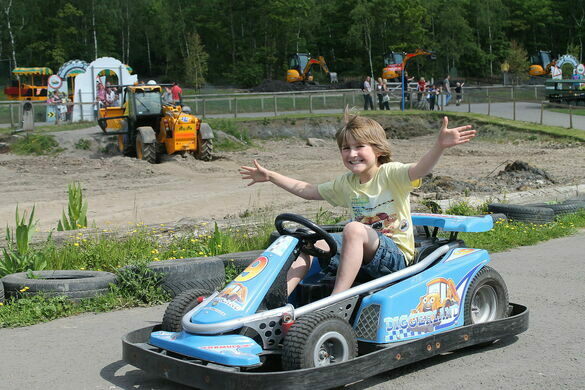 Destructive children, start your engines. 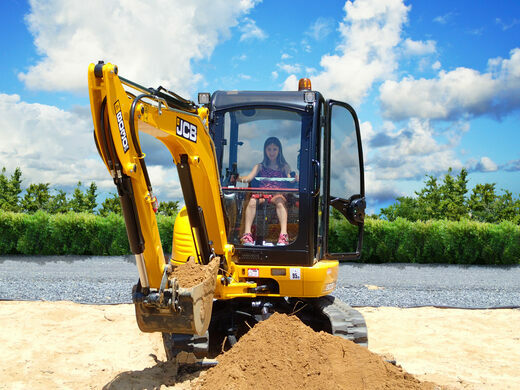 At Diggerland, you can dig stuff. That’s really the whole premise. Creaky dinosaurs grow in the backroads of Monmouth County, New Jersey. Historic town settled in the 19th century because of its convenient location along a popular coal transport route. For every little kid who has gazed with longing at mustard yellow construction equipment, just wishing they could have a turn, this place is heaven. It’s also a hot spot for adults, who get more free reign with the machinery, given that they have driver’s licenses and all. The theme park offers a host of options for those who feel the need to crunch, crush, dig, and destroy. 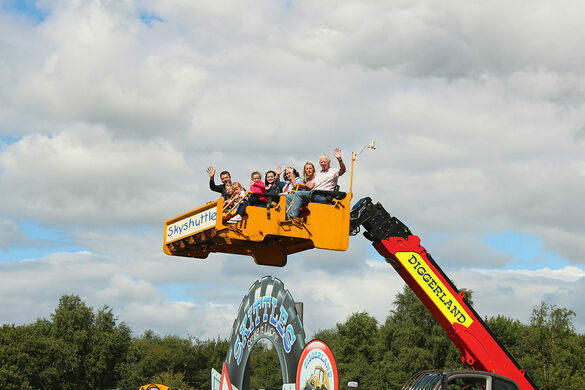 In addition to steamrollers and backhoes, the theme park boasts a carousel, a train ride, and a roller coaster all made of construction equipment. 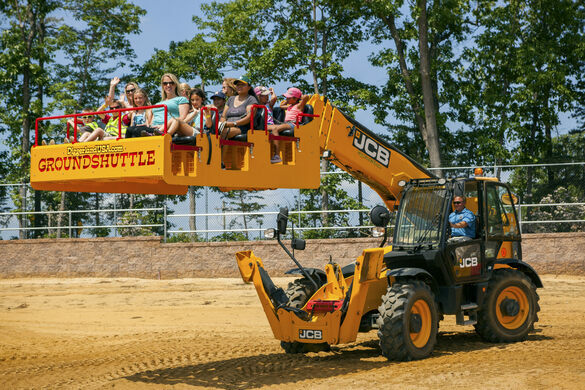 You can even be carried around in the shovel of a JCB 540-170 Telescopic Handler, something often featured in cartoons and rarely in real life. There are also stunt shows (a lot like monster truck rallies) and goats in a petting zoo. This may see like a niche tourism site, but this isn’t the first construction theme park. 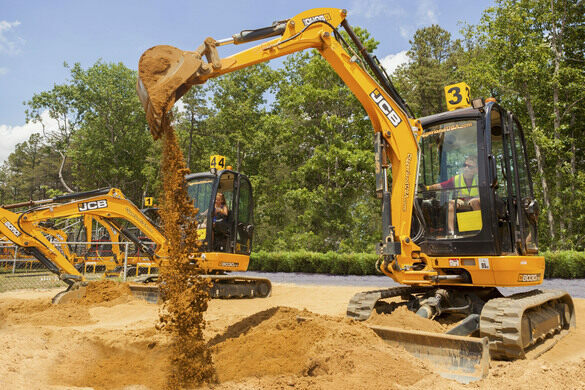 There are four Diggerlands in the United Kingdom, which this New Jersey location took its inspiration from. They also opened a fifth location in Dubai for one season. For those on the American West Coast who want to bulldoze, no worries—Las Vegas’ Dig This has you covered. The first partially complete dinosaur skeleton was discovered here, forever changing the world's view of the ruling reptiles. An unusual assortment of steerable wooden sleds is on display in a library in New Jersey where they were first invented. This abandoned-looking amusement park is frighteningly open for business. The only remaining place where you can play this century-old game for cash.